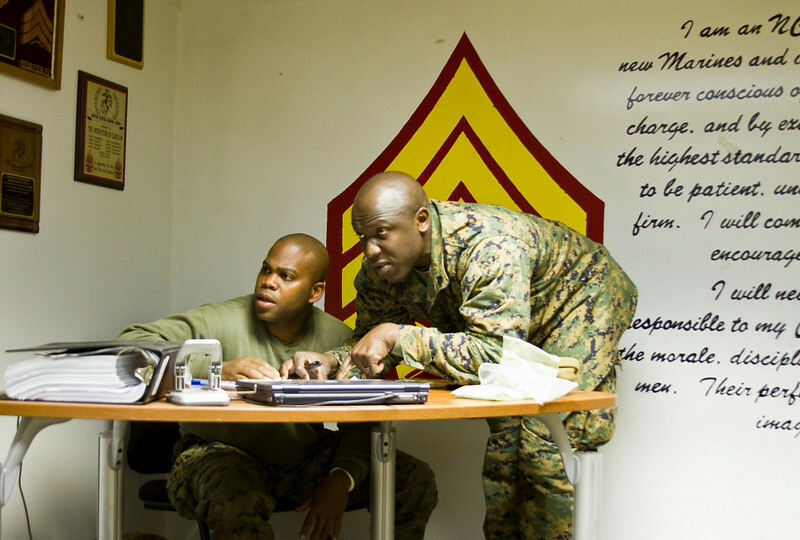 Two Marine sergeants review for an upcoming exam at Sergeant's Course 1-11 in Camp Johnson, North Carolina. 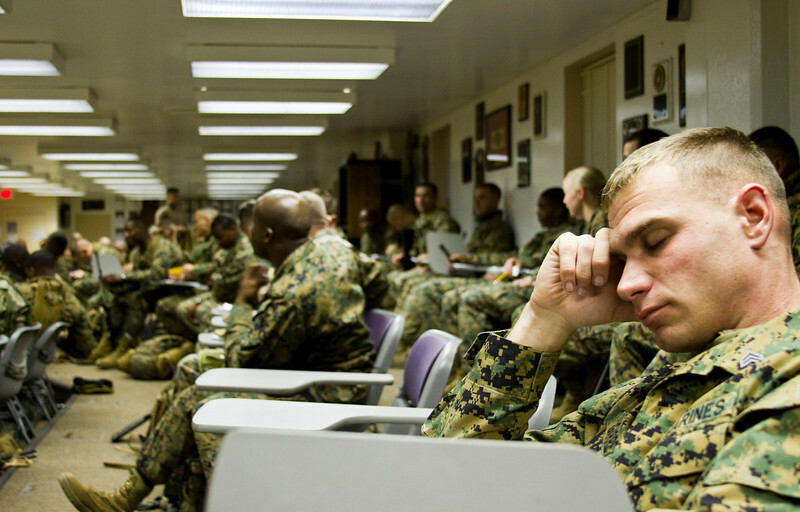 Sergeant Charles Garrett, member of 6th Platoon, Class 1-11 at Sergeant's Course, Camp Johnson, North Carolina, catches some sleep during a mid-class break. 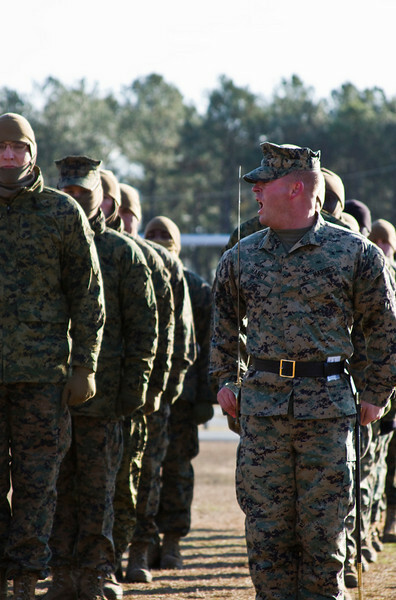 Sergeant Areca Kroll inspects the uniform of a fellow Marine at Sergeant's Course 1-11 in Camp Johnson, North Carolina. 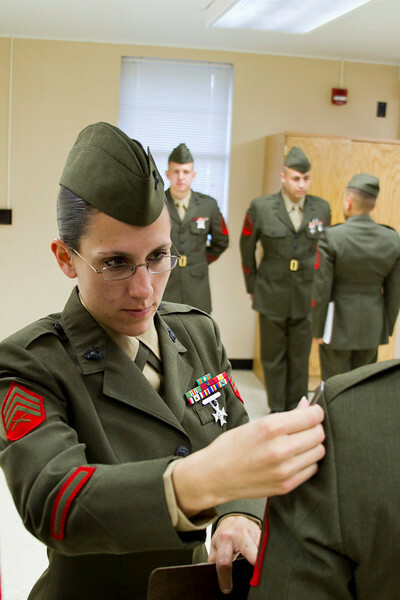 The uniform inspection exam was one of many evaluations conducted at this professional military education school, including close-order drill, patrol operations, weapons maintenance, and public speaking. 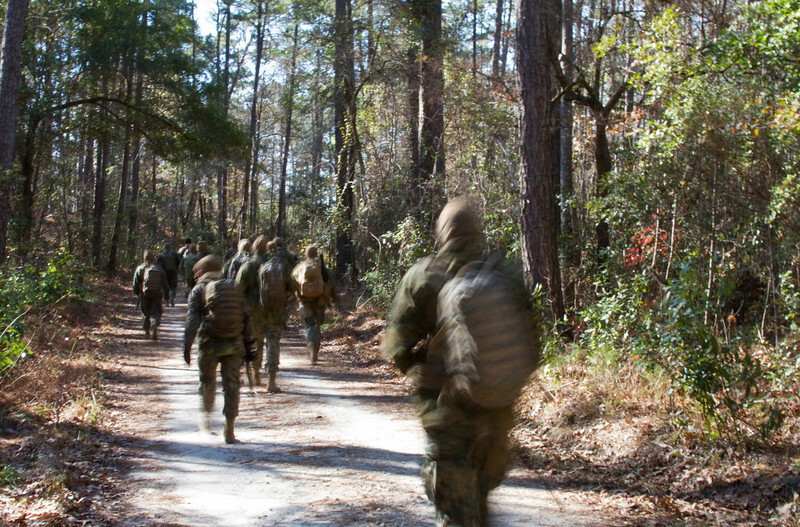 Marines at Sergeant's Course, Camp Johnson, North Carolina conduct field training exercises near the end of their training cycle. 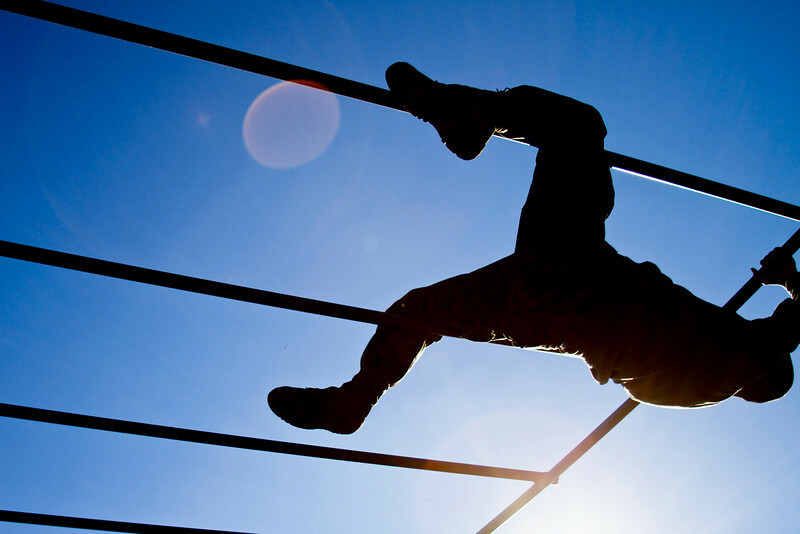 Sergeant's Course is a U.S. Marine Corps Professional Military Education school with locations in Virginia, North Carolina, and California. 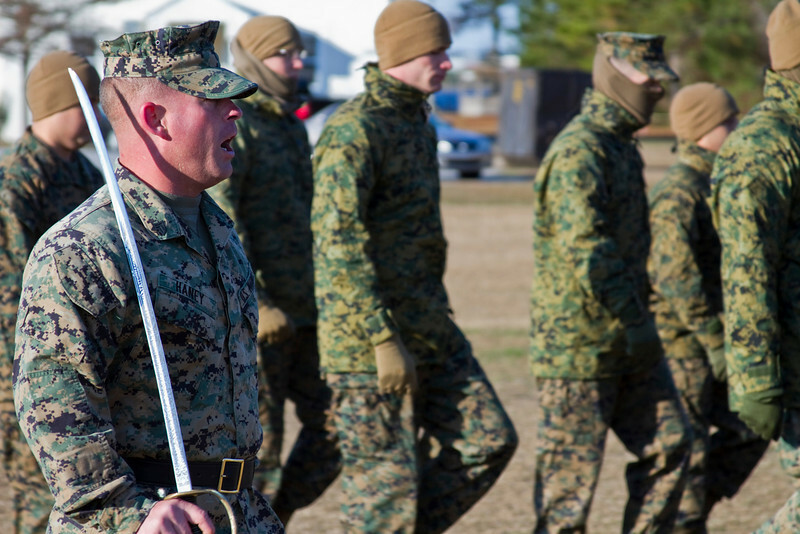 The course teaches and evaluates Marine sergeants on administrative duties, combat leadership, Marine Corps knowledge, public speaking and a variety of other fundamentals expected of the rank of sergeant. 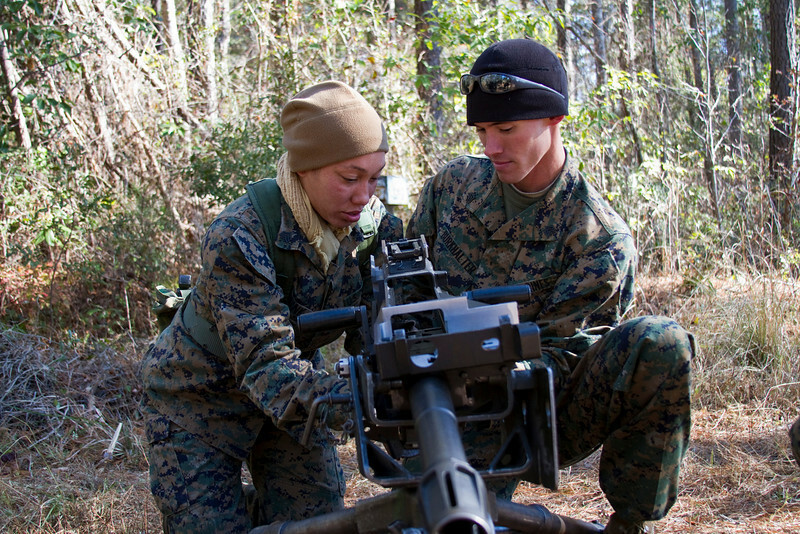 Sergeant Jaimie Wassink and Sergeant Burkhalter perform function checks on the MK-19 automatic grenade launcher during a two-day field exercise at Sergeant's Course 1-11 in Camp Johnson, North Carolina. 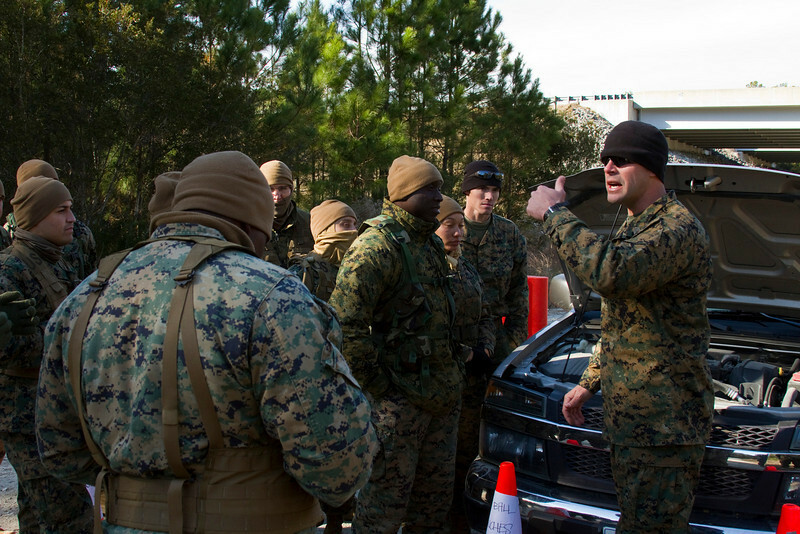 Marine sergeants conduct Vehicle-borne Improvised Explosive Device (VBIED) as part of a two-day field exercise at Sergeant's Course 1-11 in Camp Johnson, North Carolina. 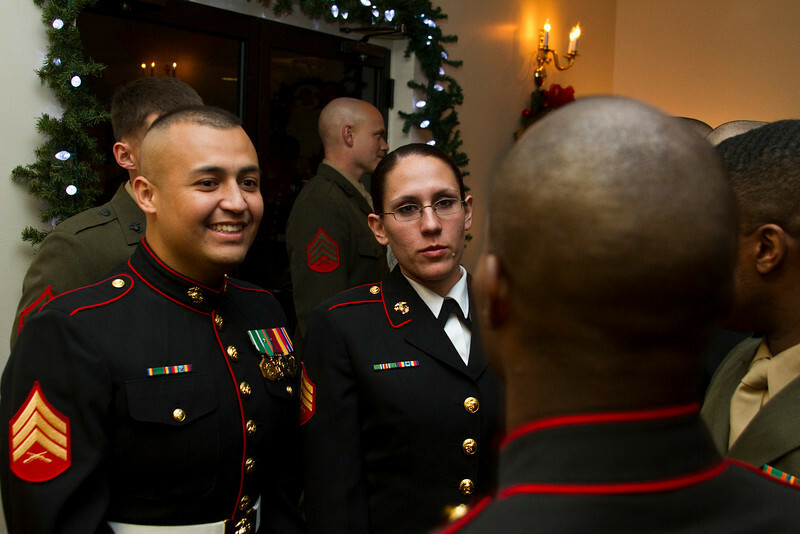 Marines from Sergeant's Course 1-11 share food, drinks, and festivities at their mess night. Mess night has been a Marine tradition for over 50 years, beginning when Marines from 3rd Marine Regiment's combat swim team were invited to have dinner with their British rivals in the midst of an annual competition. 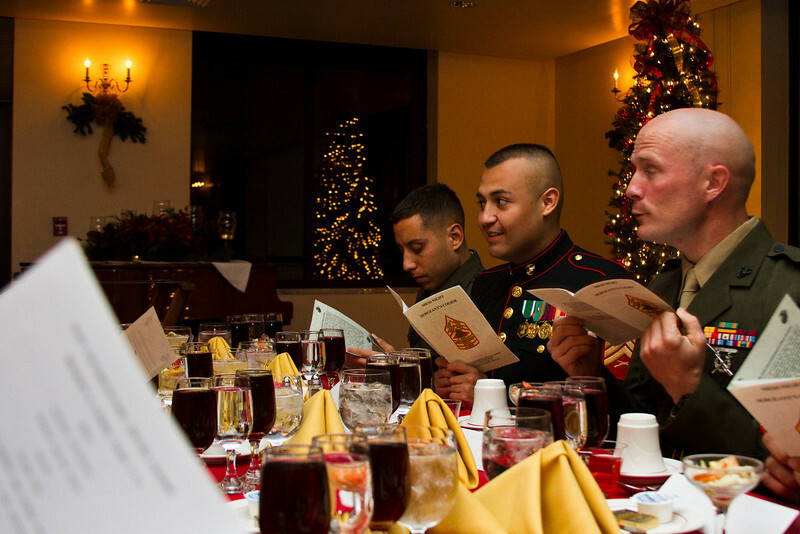 The night is centered around a series of toasts, honoring Marine victories throughout the history of the Corps. Sergeants Victor Alejandre and Areca Kroll at the class mess night for Sergeant's Course 1-11, at Camp Johnson, North Carolina. 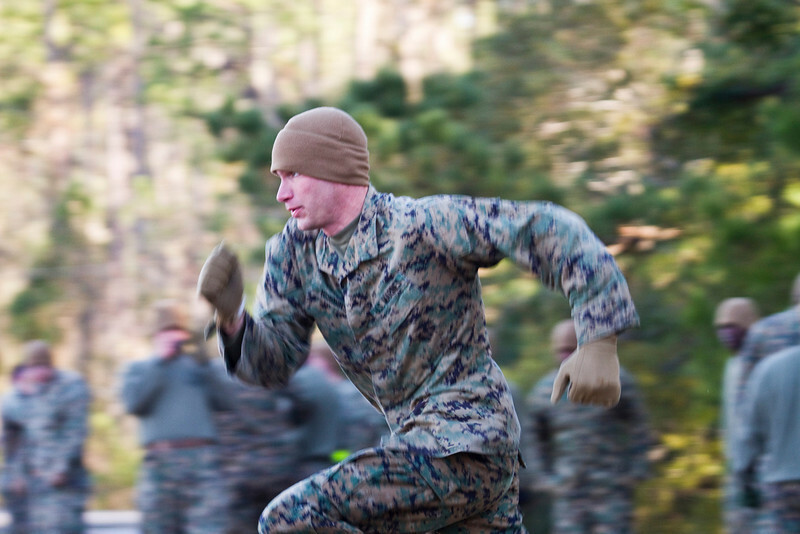 Sergeant Charles Garrett, member of 6th Platoon, sprints towards his next objective during the Combat Fitness Test, one of the last training evolutions at Sergeant's Course 1-11, Camp Johnson, North Carolina. 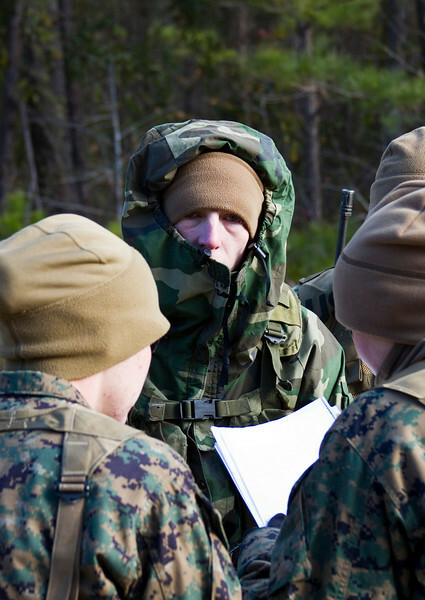 Sergeant Haney conducts close-order drill with a squad from 6th Platoon at Sergeant's Course 1-11, Camp Johnson, North Carolina. 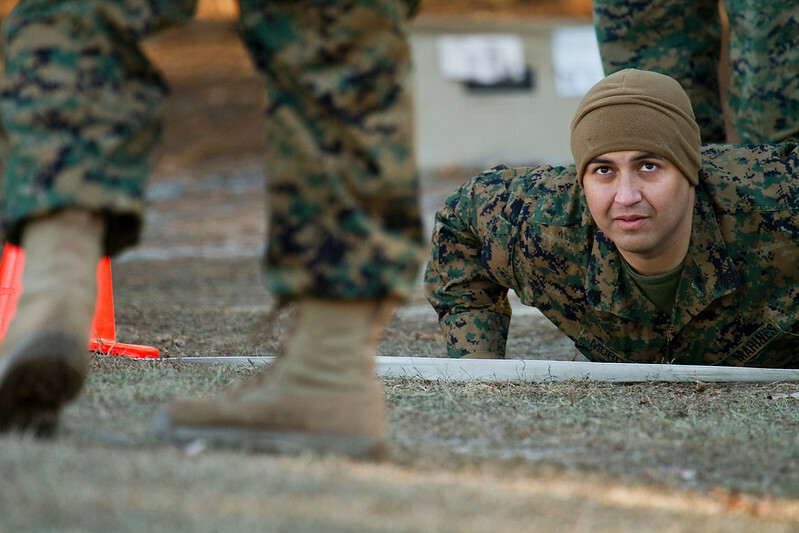 Sergeant Haney, member of 6th Platoon, prepares to conduct the 'Eyes Right' maneuver at Sergeant's Course 1-11, Camp Johnson, North Carolina.